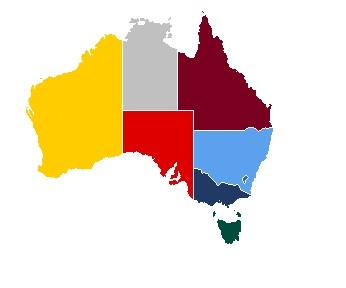 Mobile commerce is gaining momentum in Australia, according to the National Australia Bank. The bank has announced that the uptake of new payment platforms has exceeded expectations, with some 18,000 consumers downloading the company’s NAB Pay application. This accounts for approximately 60,000 mobile transactions since the service was launched earlier this year. Other payment platforms are experiencing similar growth in the country as more consumers become comfortable with the concept of mobile commerce. The NAB Pay application is particularly popular among those purchasing lunch, coffee, and snacks. These consumers are using the app to make purchases at cafes and fast food restaurants at a higher frequency than those using contactless payment cards. During the work week, transactions made through NAB Pay spike during lunchtime and between 6pm and 7pm. As such, the vast majority of transactions are below $100, though some consumers are using NAB Pay to make larger purchases, especially those that are interested in electronics. Many banks in Australia have begun investing in mobile payments, hoping to provide better services to consumers with smartphones. These investments are beginning to focus on security features, hoping to make the mobile commerce space safer for consumers. Security has long been a major issue for consumers, many of whom believe that their financial information is at risk of exploitation. These concerns have prevented many people from participating in mobile commerce, but as payment services become more secure, many consumers are beginning to use their devices to shop online and in physical stores. 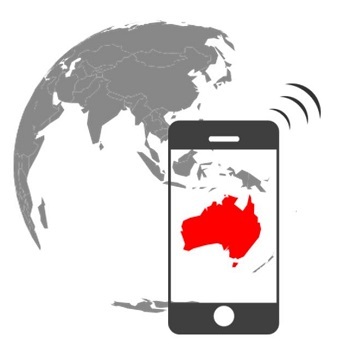 Australia is becoming a prominent mobile payments market, with several organizations looking to bring their new payment services to the country. The National Australia Bank is becoming a major player in this market, but will be competing with other organizations that have already established a foothold in this space. Apple is running into trouble with the expansion of its mobile payments service, Apple Pay. The company has been trying to convince the world’s largest banks to support the service, but the banks have shown relatively little interest. Apple is looking to launch Apple Pay in China in the coming year, but financial institutions have yet to be dazzled by the mobile payments service. Banks in other countries are showing similar disinterest, as well, slowing the expansion of Apple Pay considerably. Last month, Apple did manage to launch its mobile payments service in Australia, with the aid of American Express. While Apple Pay has come to Australia, it has yet to acquire the support of the country’s four largest banks, ANZ, National Australia Bank, Commonwealth Bank, and Westpac. These banks represent an estimated 80% of consumers in the country that are already using mobile payments systems. Australian banks seem uninterested in Apple Pay because they have already done all the work to make mobile payments available in the country/ As such, some of these banks may see Apple as looking to come in and take advantage of a market that has already been established. Australian consumers have had access to a wide range of mobile payments services for some time, most of which have managed to acquire the support of the country’s banks. Apple has overcome many challenges in the mobile payments space in the past, but without support from banks, Apple Pay may find relatively little traffic in promising markets. When Apple Pay launches in other countries, it will be facing significant competition from other companies that are involved in the mobile payments space, some of whom have already established a significant foothold in several markets. Considering the interest that iOS users have in mobile payments, however, Apple may be able to find success even if banks are relatively wary.